*1: LucidLogix Virtu MVP supports Windows 7 operating systems. *2: PCIe 3.0 speed is supported by Intel® 3rd generation Core™ processors. *3: The PCIe 2.0 x16 slot shares bandwidth with PCIe 2.0 x1_1 slot, PCIe 2.0 x1_2 slot and PCIe 2.0 x1_3 slot. The PCIe 2.0 x16 slot default setting is in x1 mode. *4: Supports on Intel® Core™ processor family with Windows 7 operating systems. 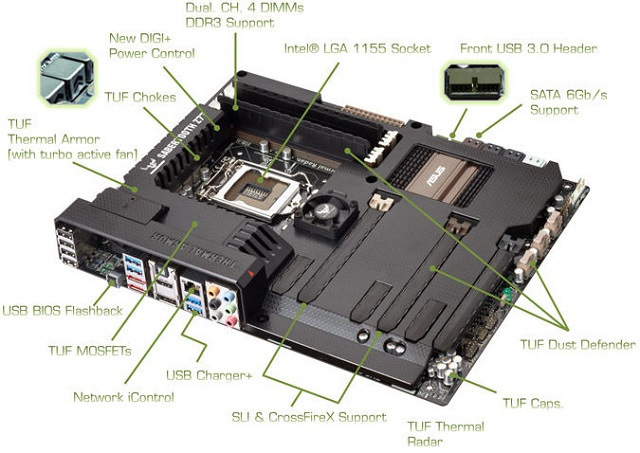 *6-1: Supports ASUS USB 3.0 Boost UASP Mode. *6-2: The USB 3.0 ports only support Windows® 7 or later versions. *7: Due to Intel® chipset limitation, P8Z77, P8H77 and P8B75 series motherboards do not support Windows® Vista operating system.